Fred was the chief experimental development test driver following in the footsteps of Roy Smith. 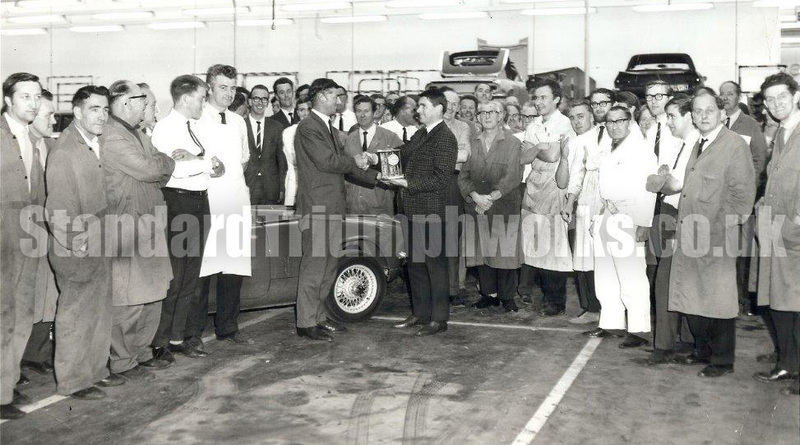 Fred left Triumph to work for the Jensen motor company. seen, this vehicle was used initially for the 1000 mile pave test at Mira. On the next ramp is X777 the second Stag to be built.